An essential selection for all Sylenth users. 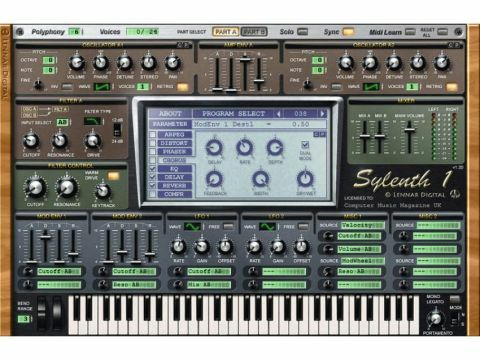 The superb Sylenth1 synthesizer can hardly be accused of having duff presets, but even those who program their sounds from scratch will find that this collection of 128 original sounds for it is hugely useful and inspirational. The majority of the patches are very contemporary-sounding and really show of Sylenth1's superb analogue sound. The lead, pad and bass patches are particularly usable, and the sequencer, arpeggiator and FX examplestruly push the synth to its limits. At an extremely reasonable €25, the Sylenth1 Arksun Soundbank represents great value, and is deinitely a recommended purchase for all users of LennerDigital's über-synth.